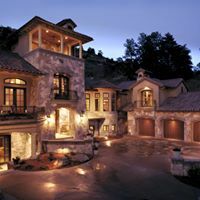 After successfully searching The Village at Castle Pines for beautiful luxury homes for sale in Colorado, check out a great place to dine and talk about your real estate options. In Denver, there is no need to worry about finding a nice place for dining, because there are restaurants and bistros for every preference. You can get creative and impeccable services at ChoLon Bistro, where you can serve some delicious fried chicken sliders or soup dumplings. Menya Noodle Bar waits you with great selections of small plates, chicken karaage and spicy pork ramen. Uncle Joe’s Hong Kong Bistro is all about great Chinese food. You can get classic favorite, but also new dishes in places like The Kitchen, The Palm Restaurant, or The Nikel that offer some of the best services in Denver, in a casual or more sophisticated atmosphere. You can have great meaty items, as well as sandwiches and salads at Guard and Grace, Elway’s and Euclid Hall Bar & Kitchen. If you are a fan of Mexican comfort food (burgers, huevos rancheros or chimichangas), D’Corazon may be the right place for you. Just go to Panzano and ask for the daily specials. People who are on a diet and look for a place where they can eat healthy and balanced food and where they are allowed to customize their meal, there are places like Thrive360.